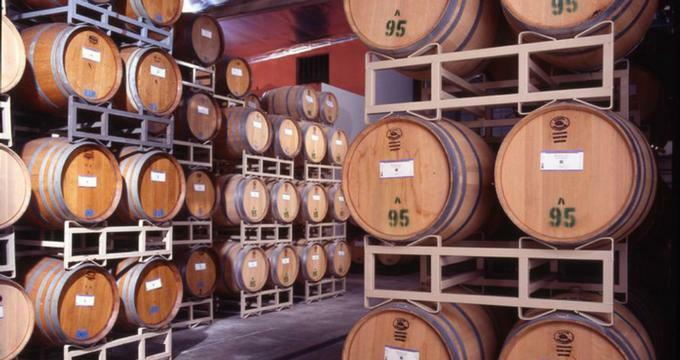 The San Antonio Winery is one of the oldest and longest-producing wineries in the Los Angeles area. Still located in its original location, the San Antonio Winery is not only a valuable asset because of the quality wines that it produces; it is also a true historical landmark. As a family-operated winery that is four generations old, The San Antonio Winery is dedicated to producing award-winning wines, and much effort has been made to invest in vineyards located in Monterey, Napa Valley, and Paso Robles. Wine lovers near and far will enjoy touring the well-maintained and exceptional vineyards of the San Antonio Winery. San Antonio Winery operates three wineries in California. The specific locations as well as the days and hours of operation are as follows. San Antonio Winery offers daily wine tasting tours by reservation. These wine tasting tours are available at the Los Angeles winery only. Days and hours of the wine tasting tours are as follows. Monday - Friday: 12:00pm - 4:00pm, each hour. Saturday & Sunday: 11:00am - 2:00pm, each hour and 2.30pm - 5:00pm every 30 minutes. The wine tasting tours consist of about 30-45 minutes of walking. Tour participants are encouraged to wear flat closed-toe shoes to ensure their comfort while on the tour. All reservations for the wine tasting tours can be placed online via the San Antonio Winery website. Please note that reservations are mandatory for groups of eight or more people. To plan a wine tasting tour for larger groups of 30 or more people, patrons can contact San Antonio Winery directly at (323) 330-8715 to make arrangements. The wine tasting tours include four tastings of either dry or sweet wine selections. Customers can choose from the following four tastings. More detailed information about the various wine tasting options is available at the San Antonio Winery website. The San Antonio Winery has an Artisan Wine Club, where members receive specially picked award-winning wines that are selected for the season. Wine club members also receive unique food and wine pairing recipe ideas as well as free shipping of wines or the option to pick up their wine selections from one of the winery locations. More details regarding the Artisan Wine Club are available via the San Antonio Winery website. San Antonio Winery offers a number of events from seminars to wine tastings and wine festivals at each of its locations. Wine lovers can learn more about these events by visiting the San Antonio Winery website or connecting via social media at Facebook, Twitter, or Instagram.